Heavens to Mergatroyd: Democracy: why we can't have nice things. By way of Krugman is this slightly dated but nevertheless brilliant discussion by Cory Robin of the conservative mind. I followed Krugman's link to the Robin article and found more good stuff. No simple defense of one's own place and privileges, the conservative position stems from a genuine conviction that a world thus emancipated will be ugly, brutish, and dull. It will lack the excellence of a world where the better man commands the worse. This vision of the connection between excellence and rule is what brings together in postwar America that unlikely alliance of the capitalist, with his vision of the employer's untrammeled power in the workplace; the traditionalist, with his vision of the father's rule at home; and the statist, with his vision of a heroic leader pressing his hand upon the face of the earth. Each in his way subscribes to this statement, from the 19th century, of the conservative creed: "To obey a real superior ... is one of the most important of all virtues—a virtue absolutely essential to the attainment of anything great and lasting." Playing the part of the dull-witted country squire, conservatives have embraced the position of the historian F.J.C. Hearnshaw that "it is commonly sufficient for practical purposes if conservatives, without saying anything, just sit and think, or even if they merely sit." While the aristocratic overtones of that discourse no longer resonate, the conservative still holds on to the label of the untutored and the unlettered; it's part of his populist charm and demotic appeal. Yet nothing could be further from the truth. Conservatism is an idea-driven praxis, and no amount of preening from the right or polemic from the left can reduce or efface the catalog of mind one finds there. And Rand knew exactly what to do with them - put them onto a train, list their thought crimes, send the train into a tunnel filled with carbon monoxide (thanks to the insistence of a politician wanting to make it to a voter rally in time) and then blow up the train. You can see why the savvier conservatives of the National Review found her such an embarrassment, and wrote scathing reviews of Atlas Shrugged. While they may not have hated worser men enough to want to see them all dead, they certainly agreed that, fundamentally, it's thanks to democracy that we can't have nice things. And if you consider a palace the ultimate in nice things, then this view of the world makes sense. 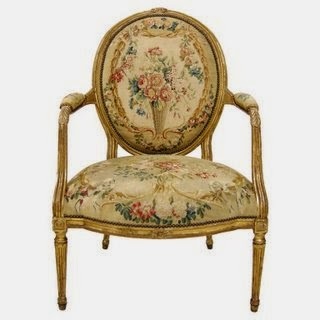 Concentration of wealth allows for the gratuitous creation of beauty, and there are those who covet a Louis XVI chair and will never be able to appreciate the utilitarian elegance of an IKEA chair.